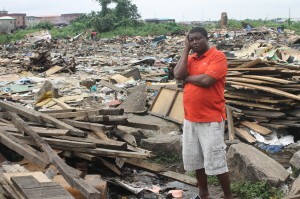 SPACES FOR CHANGE | S4C has re-initiated legal action against the Lagos State Government and the Ojora chieftaincy family, seeking justice for residents of Badia-East who were forcefully evicted, and their homes and business premises demolished in September 2015 and June 2017 respectively. 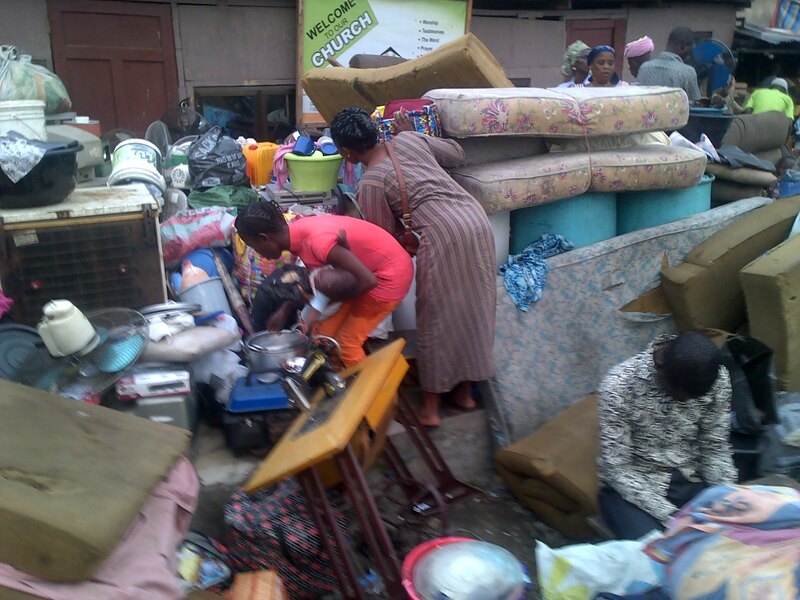 The latest legal action consolidates a previous lawsuit which S4C filed on behalf of the community in May 2016 at the Federal High Court in Lagos before Justice Anka, seeking redress for the fundamental rights breaches resulting from the September 2015 mass evictions. In a recent ruling, Justice Anka of the Federal High Court declined jurisdiction and ordered the transfer of the matter to the Lagos State High Court, necessitating the fresh legal action. The new fundamental rights action, Suit No: TEMP/38029/2018, was filed on July 9, 2018, at the Lagos State High Court, Igbosere. The matter was brought pursuant to sections 34, 35, 36, 44, and 46 of the Constitution of the Federal Republic of Nigeria 1999 (as amended) and Article 4, 5, and 6 of the African Charter on Human and Peoples Rights (Ratification & Enforcement) Act. Article 5 of the African Charter on Human and Peoples Rights specifically prohibits torture, cruel, inhuman or degrading treatment. 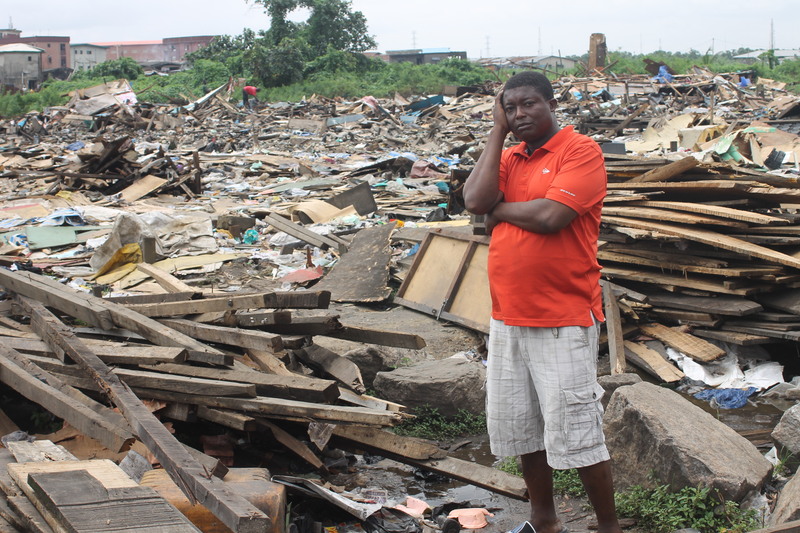 On September 18, 2015, bulldozers manned by officials of the Lagos State Government on the orders of the Ojora chieftaincy family, stormed the community with bulldozers and other earth-shaking equipment, leveling every structure in sight. Families watched helplessly as their properties were crushed to rubbles under the might of heavy bulldozers. The Ojora chieftaincy family is claiming ownership of the land in Badia-East and disputed the stay of residents. The Federal government resettled the residents on the land in the early 1970s, following the compulsory land acquisition of their previous settlement to erect a National Theatre in 1973. Since 2015, S4C has been providing free legal representation to Badia evictees. Along this line, S4C has led various advocacy interventions on behalf of the displaced residents, including exchanging series of correspondences and facilitating alternative dispute resolution meetings with numerous state officials, agencies and ministries, with the aim of redressing the human rights violations resulting from the evictions. These efforts to secure justice did not yield the desired results, hence the resort to litigation. The search for justice at the Federal High Court witnessed several delays ranging from difficulties in effecting service on the parties, to the unexpected transfer of Justice Anka of Federal High Court 9, Ikoyi, Lagos Division to Zamfara State Judicial Division, and his eventual ruling that the suit be transferred from the Federal High Court to the Lagos State High Court. These interruptions have seen the years go by without the implementation of resettlement or compensation plans for the people of Badia. The evictees are still displaced, with most of them sleeping in the open spaces in and around the peripheries of their former homes. Nevertheless, they have continued to engage the various agencies of government, demanding legal redress for the violations of their rights.The re-filing of the lawsuit at the Lagos State High Court re-ignites their collective hope for justice. On hearing that S4C has re-initiated the suit at the State High Court, excitement rented the air in the community. ‘We still believe that the court is the last bastion of hope for the common man, and that justice will be done to correct the wrongs done to us in September 2015 and June 2017 respectively’, Pastor Aworetan Olatunde, an evictee stated elatedly. SPACES for CHANGE remains committed to promoting social justice and equity for all by providing legal advisory support and representation to rural and urban communities affected by urban renewal programmes.